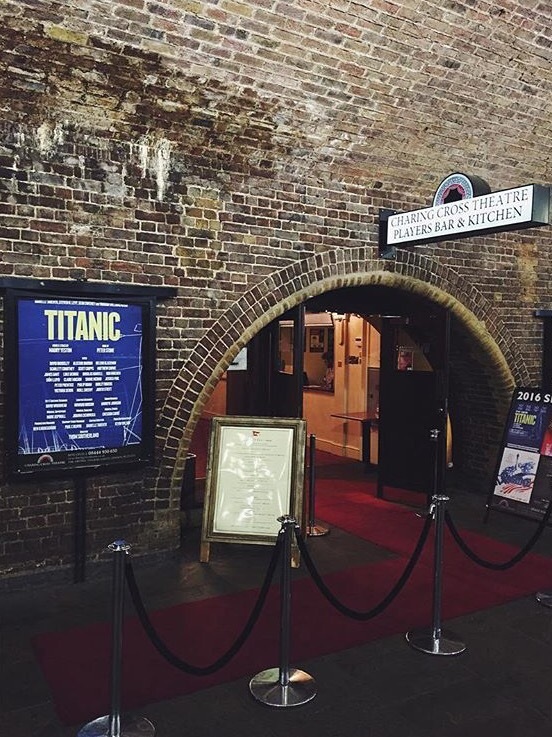 Three days ago I went to see Titanic: The Musical. 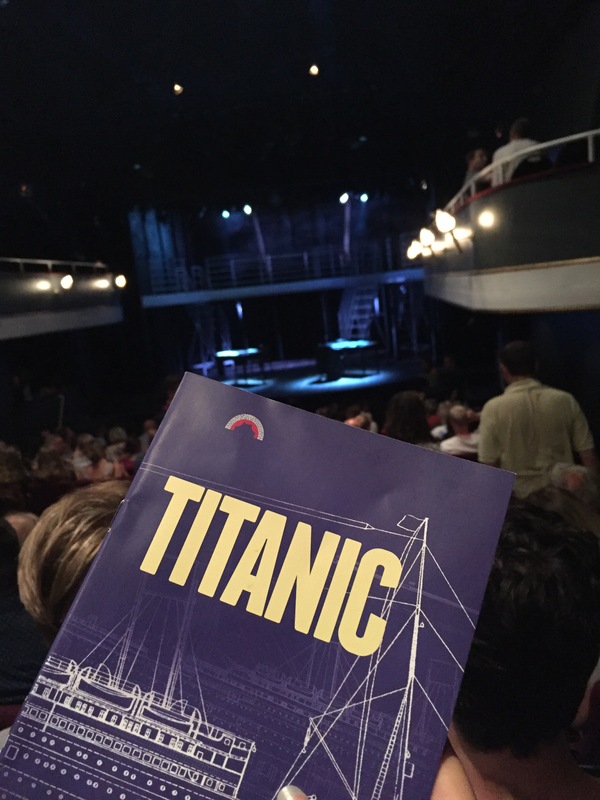 Yes, an actual musical about the titanic. I’ll be honest, when I booked my tickets I had my concerns about the show and whether it would just be the romanticised Leo and Kate story that was released in cinemas 19 years ago, but the production was so much more than that story, and actually told a touching, heart wrenching tale of the real life people who lived and died on the maiden voyage. The Charing Cross theatre itself, located under the tube line, is a beautiful little theatre space that holds probably no more than about 250 people. The intimacy of the unusually small theatre works perfectly for this show – it is windowless, dark, long and narrow almost making you feel like you’re in the confined spaces of a boat. It only took about 10 minutes into the show before I was in tears, not because the story had already reached that tragic point, but because the power of the vocals in ‘Godspeed Titanic’ (when the boat set sails) were so overwhelming. The show highlights at a very early point the high hopes that many passengers aboard the Titanic had for the journey to America changing their lives for the better, and this song really underpinned their sense of hope. The beautiful scoring of this song along with the poignant lyrics really touched me. The use of multi-rolling was very cleverly done, with most members of the cast playing a third, second and first class character at some point in the show. The use of accents with some cast members, such as Irish, German and American, were also very well executed. The highlight of act 1 had to be ‘The Proposal/The Night Was Alive’ for me, especially Niall Sheehy’s heartfelt portrayal of Barrett which absolutely broke my heart as he sung “I’ll be coming home to you Darlene”…. Spoiler: he didn’t. Act 1 had a dramatic ending with the Titanic hitting the iceberg, leaving me counting the minutes until the interval was over to see how the characters’ individual stories would inevitably end. I’ll be honest and admit that I was an emotional wreck through most of act 2 as I was so caught up in the drama, but some particularly heart breaking moments included the songs “Getting In The Lifeboats” and “We’ll Meet Tomorrow”. 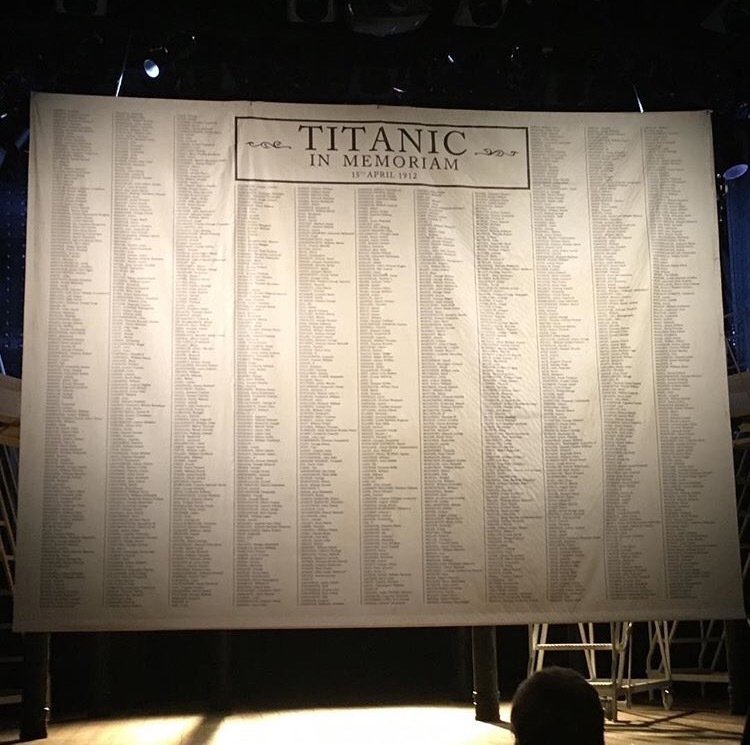 Without doubt though, the highlight of the show was the tribute given to the 1,517 lives lost on the Titanic with the names of every man, woman and child who died printed out and hung from the ceiling. Seeing every single name of those lost was a very humbling experience and really put into harsh perspective the tragedy that occurred that night over 100 years ago; families ripped apart, children who would grow up without fathers, lives changing in the space of 160 minutes. This beautiful show touched my soul in a way no other show has ever done before. I personally think it’s a tragedy in itself that it’s closing on the west end in just 2 weeks. I will definitely be getting myself tickets to see it again before it leaves, and would recommend it to anyone. The power of this production is completely unrivaled.